Our range of services include Agreement Services, Employment Services, Family Service, Individual Tax Services and Property and Real Estate Services. What shall be the wordings of will? It is not necessary that any technical words or terms of art be used in a will, but only that the wording be such that the intentions of the testator can be known therefrom. A joint venture agreement is an arrangement where two companies develop a separate entity to their mutual benefit. It is regarded as sharing of resources, capital, personnel, facilities. Thus a joint venture agreement is entered by a group of individuals/companies to do business mutually by collaborating for a particular project that shall be legally binding. Usually a memorandum of understanding (MoU) is entered before entering into joint venture agreement. A well efficient lawyer from our team shall contact you, and explain you the total process, and will understand the need of filing a legal notice by you. Once the objectives of the same are clear, the lawyer shall draft a sample legal notice accordingly. The draft legal notice shall be sent to you, for your review. Once you approve it, it shall be served to the other party. In the field of Labour Record, Employee’s Provident Fund(EPF),Employees State Insurance Corporation (ESIC) maintenance, Record maintainer for various Labour Laws i.e. Employees Provident Fund & Miscellaneous Provisions Act , Employees State Insurance Act. Complete Service for Factories Act, 1948, Payment of Wages under Minimum Wages Act and Bonus Act. Printing Obtaining Permanent Identity Card (PIC) from the ESI Branch office. Assist in preparation of PF withdrawal Forms (19, 10C/10D) and settling their claims. 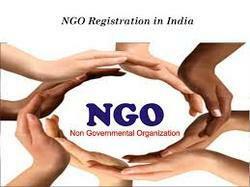 Factory Registration and obtaining Factory License from the Department. Maintenance and submission of the following statutory Records / Returns etc. under Factories act, 1948. Register of White washing in Form No. 7 (Prescribed under rule 18. Register of leave with wages in Form No. 15 (Prescribed under rule 94). Register of Accident & Dangerous Occurrences in Form 26 (Prescribed under rule III). Muster roll in Form No. 25 (Prescribed under rule 110) will be maintained by the factory. 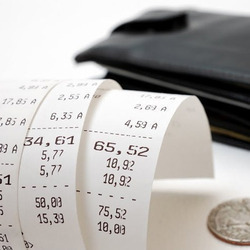 Wages Slips in From No. 19 (Computerized). Change of Name of Manager / Occupier as & when required in Form No. 2-A. Form No. 18 (Notice of accident and Dangerous Occurrences to be submitted within 24 hours by Registered Post). Informing the employers about the changes in the minimum wages as declared by the Govt. from time to time and advising the management about the implementation of various statutory obligations under this Act. e are a unique entity in the industry, actively committed towards offering an optimum quality Labour Law Consultant. This service is widely acknowledged by our precious clients owing to its promptness and cost-effectiveness features. Our skilled professionals provide this service in the best possible manner. The provided service is executed by our adept professionals who have immense knowledge in this domain. Moreover, our precious clients can avail this service from us at reasonable price. We take pride in announcing ourselves as reckoned name, indulged in providing Company Law. Our professionals have numerous years of knowledge who keep close co-ordination with our clients to comprehend their specific needs. 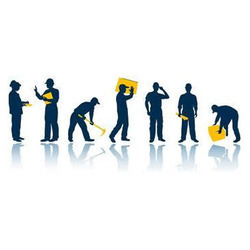 We provide service for firms, companies as well as individuals. Our respected clients can avail this service from us at nominal prices. Offered service is highly admired by our clients for its cost-effectiveness. Backed by rich industry experiences, we are highly engaged in offering MSME Registration Services. Our offered services have gained wide appreciation from our precious clients for their varied associated attributes like promptness, flawlessness and perfect execution. Our experts examine all the parameters associated to these services and execute them in an excellent manner. They consider client’s requirement and set industry standards before the execution of the service. Furthermore, provided services can be availed for our valuable clients at most competitive prices. 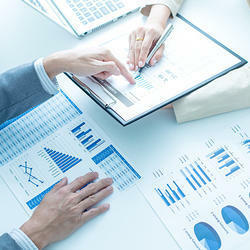 If you are a Company and needs to maintain the statutory books, minutes, Board Resolution, filing the Financials, Compliance Certificates, all related to department of Registrar of Companies - you need support from our Team Experts Company Secretaries, who will prepare and file to make your compliance hassle free. 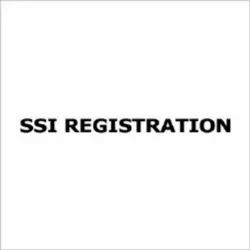 We are listed amongst the top firms of the market engaged in offering a large collection of SSI Registration Services , providers to the clients. 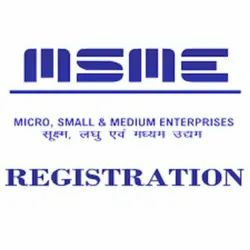 We are listed amongst the top firms of the market engaged in offering a large collection of MSME License Registration , providers to the clients. We are listed amongst the top firms of the market engaged in offering a large collection of Food Processing Subsidy , providers to the clients. We are listed amongst the top firms of the market engaged in offering a large collection of Drug Licence Registration , providers to the clients. We have been gaining huge recognition as the foremost service provider betrothed to offer Secretarial Services. 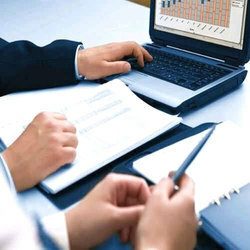 As per the specific demands of our patrons, the offered services are well known for provide secretarial information. 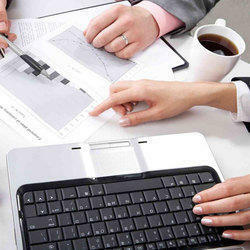 In these services we provide exact and useful information about the assistance of any kind of business details. In addition to this, the provided services can be availed from us at the best market rates. -Inspection support provided to Third Party Agency for all required documents and finalisation of Inspection Report.